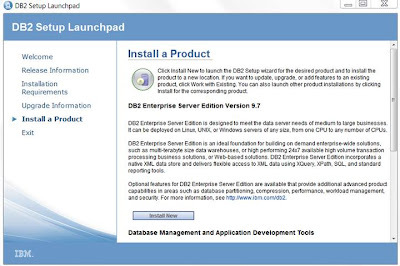 DB2 Tools catalog must be created in order to use the Task center and scheduler. These tools allows you to schedule common tasks such as backups and this information stores in the DB2 database created above. 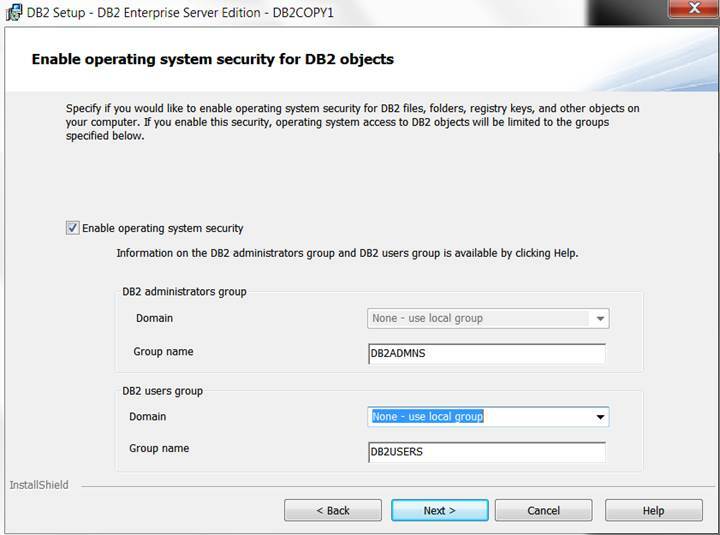 Enabled the Operating System security for the DB2 files , folders and other objects . 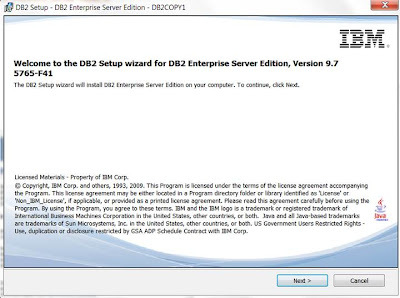 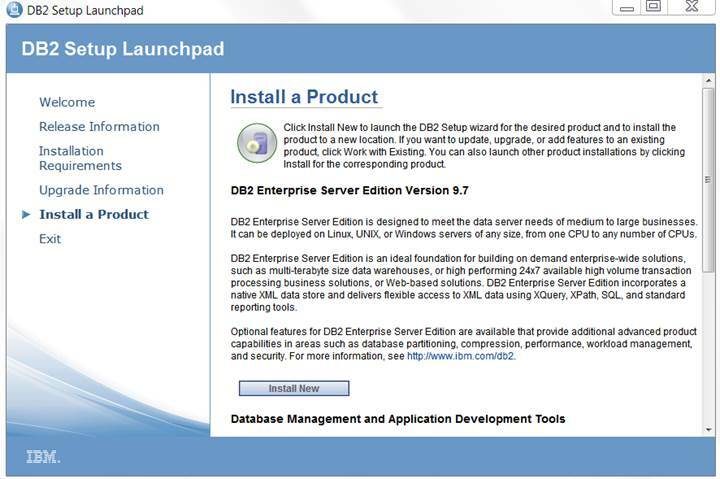 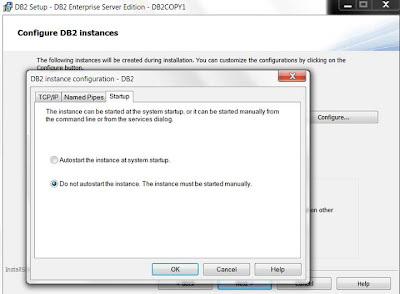 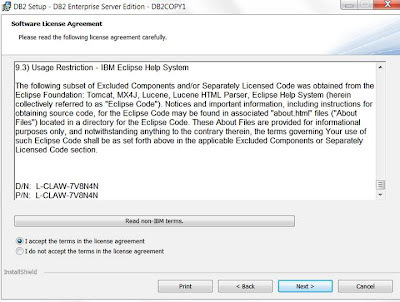 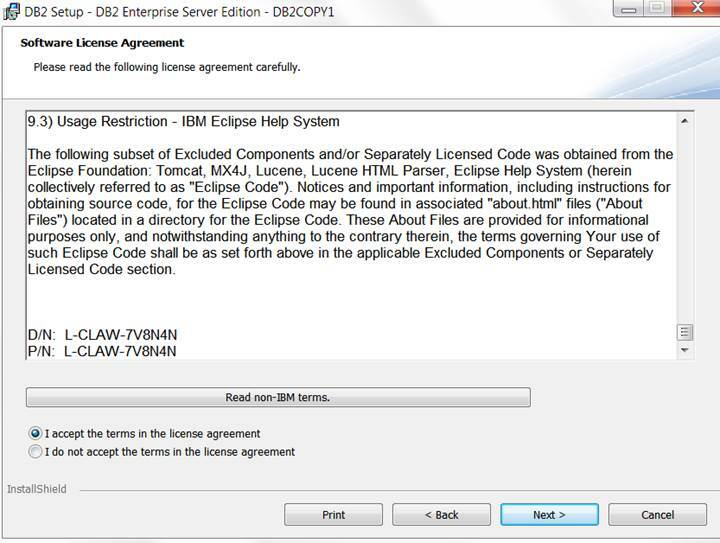 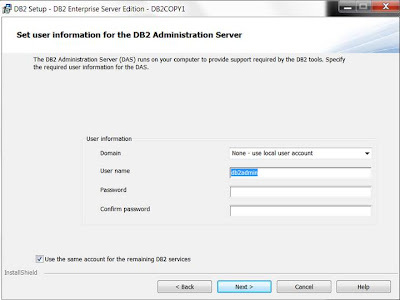 This step will create DB2ADMNS and DB2USERS groups in operating system. 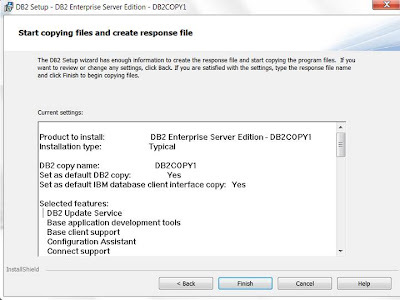 Review all inputs before click finish. 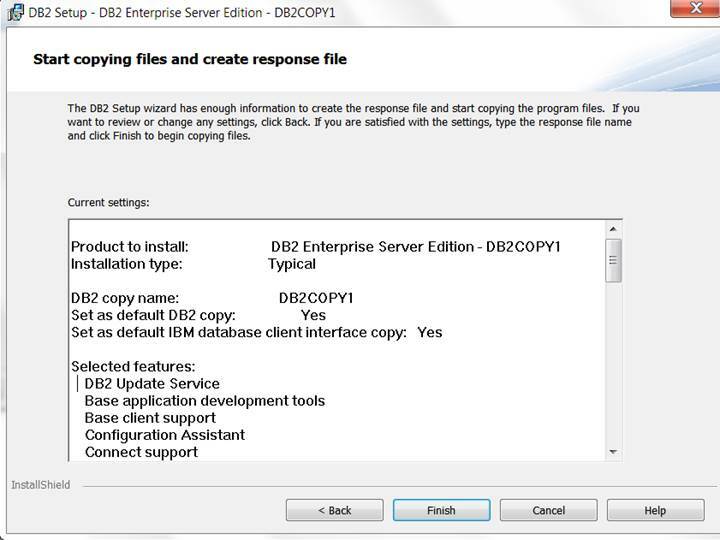 Successfully installed or copied the required files . As we have enabled the DB2 security , need to make sure that all users ids(all users ids that interact with db2) are members of "DB2ADMNS" or "DB2USERS" group. 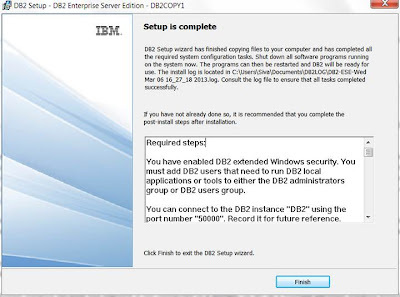 Optionally to validate the DB2 installation files , instance and database functionality, run the " C:\IBM\DB2\bin\db2val.exe"
DBI1379I The db2val command is running. 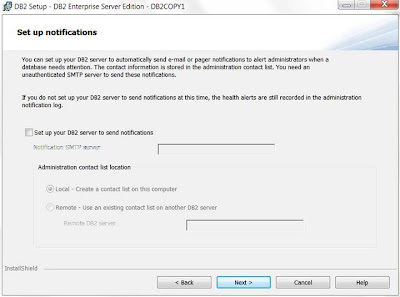 This can take several minutes. 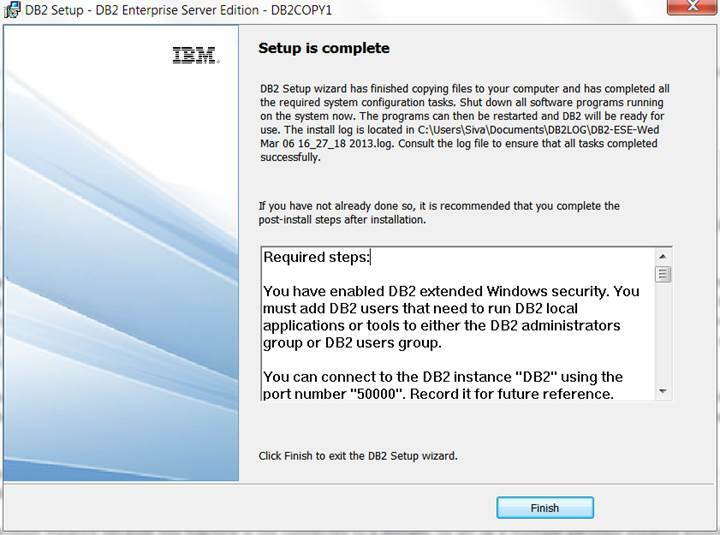 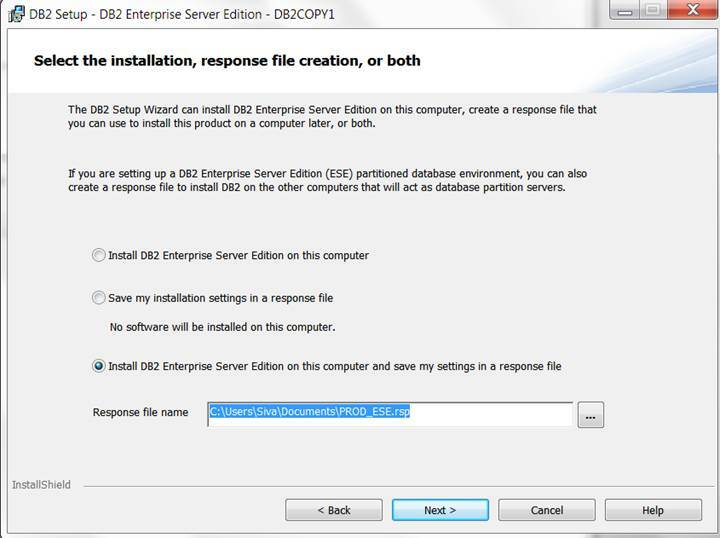 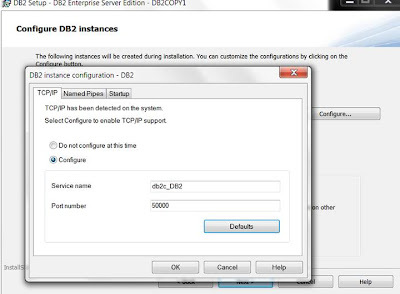 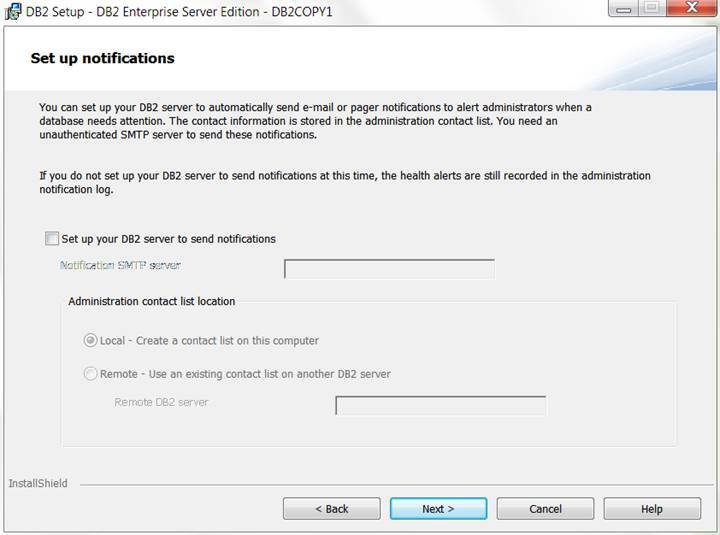 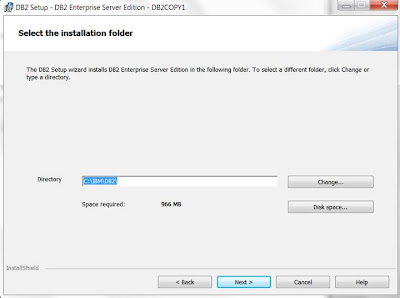 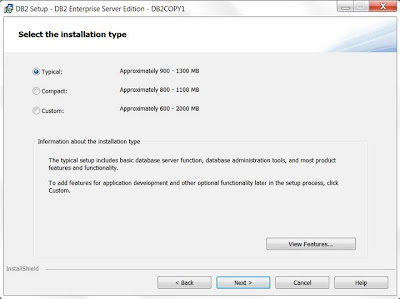 DBI1333I Installation file validation for the DB2 copy DB2COPY1 was successful. 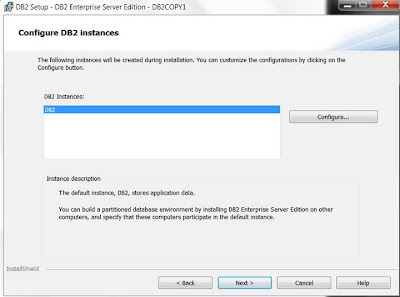 DBI1337I The partitioned database environment validation for the instance DB2 was successful. 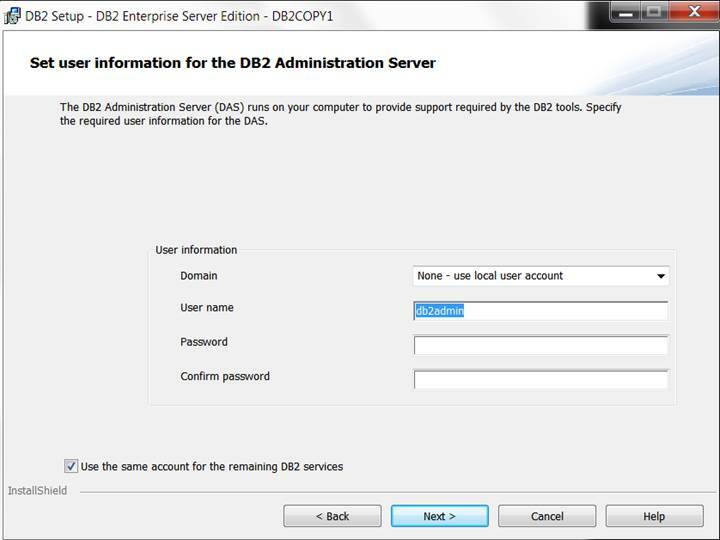 DBI1339I The instance validation for the instance DB2 was successful. 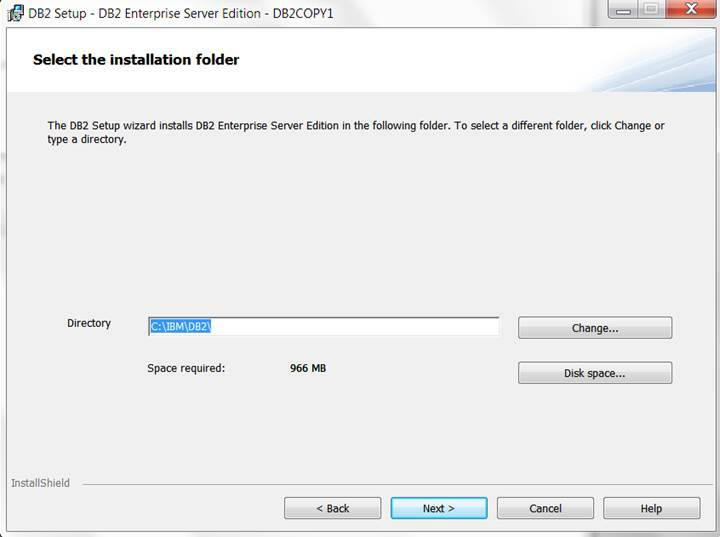 the log file C:\Users\Siva\DOCUME~1\DB2LOG\db2val-Wed Mar 06 17_03_21 2012.log.